Inspirational, funny, poignant and just plain good entertainment. Julie and Julia, is a feel good movie and worth a visit to the movie theater. There are two stories interwoven that run parallel in the plot. Julia Childs, an irreverent, flamboyant, personality played by Meryl Streep carries you away with her positive attitude to life. And then there is Julie Powell, who 40 years later found inspiration in the work of Julia Childs and it changed her life. I had one such experience. 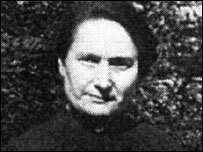 I was 14 years old, I happened to hear a woman called Gladys Aylward speak. The occasion was in a large cavernous cathedral in Adelaide and I remember it being very dark in the church for some reason. I had no idea who Gladys Aylward was, but it meant an evening out away from the house and to a 14 year old that was liberating. The proceedings before her talk was less than stimulating, dry christian preaching that told me I was a sinner…. and I was beginning to wonder if I'd made the right decision to come. A small woman, not more than 4ft 6" walked up to the podium, she wore a thick brown woolen coat, a black felt hat pulled over her hair and she had sturdy black shoes and thick hose. You could hardly see her behind the lectern. She began to speak. She had a strong, London accent. Her voice held everyone in the audience captive and the microphone echoed it's resonance. She talked for 2 hours and I was spellbound. She talked of trekking through the mountains of China. In 1938, the region was invaded by the Japanese forces, and she led ninety-four children to safety over the mountains. She was the inspiration for the book, "The small woman" and the movie, the "Inn of the sixth Happiness"
As I mentioned I was just 14, but I decided then and there that I would do something like Gladys…. It was an amazing feat of deception, trying to see the screen from behind the chair. Pearl Buck foundation assisted many children of mixed race from Vietnam and Thailand find adoptive families in the USA and other parts of the world. Previous PostWhat’s on in Sydney.